Check for ticks, even if you have used a preventive medication. Ticks may climb onto your pet and die after exposure to the preventive, but you don’t want them to detach in your car. Run your hands through your dog’s fur, looking for any little bumps. If you have never seen a tick, check out this website. For information about the tick’s life cycle, check out this video. Ideally, you should remove the tick before getting into the car. If the tick falls off in the car, both you and your dog will be susceptible to a feeding and any diseases the tick may be carrying. Lyme Disease is abundant in our area, and we continue to see an average of 10 cases per month. Ticks can sense the heat from you and your dog’s body and the carbon dioxide exhaled from up to 30 feet away, and will start walking towards your pet and you. Although they live in grassy areas, the well-walked path is a favorite destination of ticks. For more tick information, visit the Centers for Disease Control. A tip from our veterinarians is to put a little alcohol on the tick first so it begins to detach, making it a little easier to remove with the tool of your choice. A veterinarian can also do this for you. Check the body and especially the paws and pads for any dirt, mud, abrasions, lacerations, or torn nails. Your first aid kit should have something to stop bleeding and clean any wounds with an antiseptic until you can reach a veterinarian. 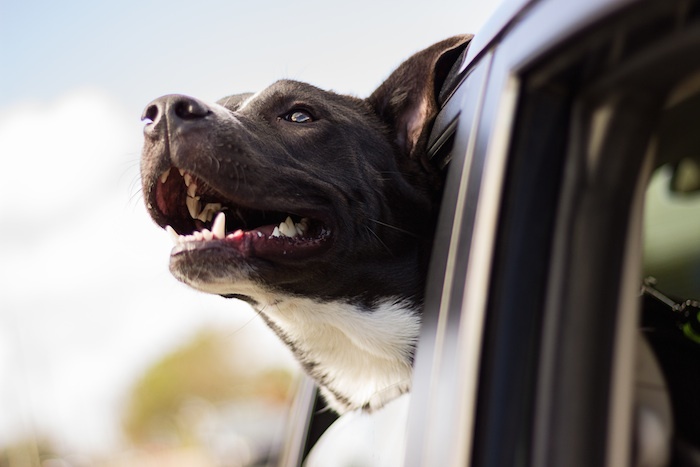 If your dog had a great time rolling around in the mud, you may want to throw down a blanket in your car and bathe him at home or call your groomer. Hiking with your dog is a great way to have fun, bond, and show him how much you care. With a little preparation, you’ll be ready for a great day! You can both enjoy the health benefits of fresh air and exercise. And, of course, you can always call our chiropractor, Dr. Johnson, if you overdid it a little. This is Part 3 in a 3-Part Series. You can find Part 1 - Before Your Hike: Preparations here, and Part 2 - During Your Hike: Garbage and Snakes and Bears, Oh My! here.